A new lipstick or makeup palette can brighten your day in an instant, but it unfortunately, doesn’t always leave your wallet smiling. Being a true beauty addict can cost a bit of money, yet it’s not a necessary drawback of looking fabulous. 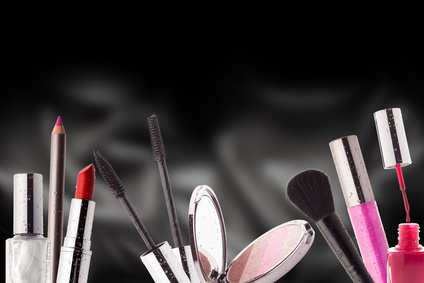 We have compiled some of the top ways you can get amazing beauty products for less. So, next time you shop for a new beauty product, remember to keep these following tips in mind. Don’t just walk blindly into a beauty purchase, but carefully consider your options. The same mascara could end up being cheaper in another shop! The starting prices can often be similar for all brands, yet retailers themselves like to add special savings to lure in customers. You might find the items you need with discounts of up to 50% if you just have the patience to look around. Compare prices both online and in-store. If you hit the high street regularly, then it’s a good idea to note down the savings and even ask how long these offers are in place. With the help of your smartphone, you can even check the prices online while you ponder whether the in-store offer is better. Online and in-store retailers regularly run voucher campaigns which can add savings to your final beauty bill. You can often check for the codes directly from their websites, but you can also utilize a different voucher and coupon code websites as a helpful tool. OZCodes, an Australian coupon search engine, offers various discounts on wide varieties of beauty and skin care products. Be smart with your coupons. It can be easy to go ‘coupon crazy’ and end up spending too much on items you didn’t need, just because you thought the products were cheaper. Therefore, you might want to keep an eye on the coupons and only use them for items you actually need. While retailers tend to have a number of great in-store offers available, the real savings can often be made online. Not only are online beauty shops better stocked in terms of brands and options, the retailers tend to also provide much cheaper prices, especially when you are buying plenty of products at once. You might want to keep an eye on sites like SkincaeStore that sells some amazing wholesale products for beauty fans. Some sites like Sigma Beauty also come with free shipping on certain orders, so you don’t need to worry about spending too much money for your online splurge. Have you ever bought an amazing glittery eyeliner, went home and realised you do not want to use it? Chances are you have done it a few times, as we beauty fans tend to follow trends we probably shouldn’t always follow. Instead of just leaving these unwanted items into your drawers for months, simply return them and get your money back. If you haven’t opened the package, then you have generally at least 14 days to return the item for a full refund. The process is often relatively straightforward and you won’t need to wait for your refund for ages. In certain online shops, instead of having the refund on your original method of payment, you can instead get store credit or simply swap the item for something else. If you have removed it from the package, but you have used it yet, consider swapping products with friends. They might have something you want and this could ensure neither of you need to waste money! Just remember that you should never swap beauty products that have already been used. Do you take your beauty shopping seriously? If you have a lot of knowledge and you love sharing the word, then start selling cosmetics and enjoy the perks. You can sell products from retailers such as Mary Kay and Avon. Not only will you make a commission with every sale, you can often get free testers from the company to ensure you know the products well. In addition, if you keep a beauty blog, then becoming an affiliate for beauty websites is a good idea. For example, Cosmetics Now allows you to earn a commission from sales you direct through your website to the retailer’s platform. If your blog is popular, beauty brands might even contact you for the reviews. This can allow you to get free goodies, while you just need to provide your readers with an introduction and an honest review to the products provided. The above tips are perfect for saving money with your beauty shopping. You just need to keep your eyes open and be a bit patient with your shopping decisions. Don’t jump on deals without checking for alternative options and try to think carefully whether you’ll actually end up using the items you buy. If you put a bit of effort and thought to your shopping trip, then looking beautiful won’t cost a fortune!